Over the past year, I've become really interested in skincare. 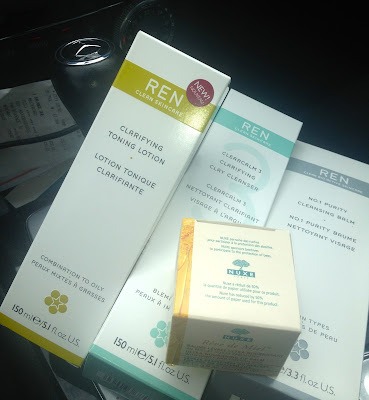 I've always known the importance of looking after my skin, but never really found the right products that gave me the results I was after, not since I tried my first set of proper skincare when I was about 14, Clinique 3 Step, which at the time, I loved and now wouldn't touch with a barge pole. I think my interest in skincare has really stemmed from reading the wonderful, no nonsense skincare blog of Caroline Hirons, (you MUST read her blog) and since applying, slowly her tips, tricks and following her product recommendations, my skin has never been better. First, I decided to repurchase my favourite ever cleanser. Now, I know I've previously raved about my Clarins foaming cleanser, but this blows it out of the water! I still love that cleanser, but I'd choose this one over it. This has a clay base making it feel like a mask each time that you use it. When I'm using this product, my skin is much clearer, brighter and softer. 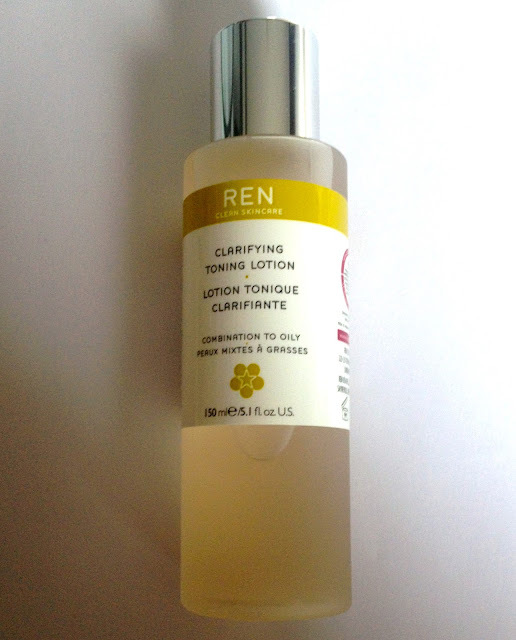 Then I chose to buy the Clarifying Toner, now I know some people don't do toner but I definitely do! Toner is NOT for removing the last bits of make up on your skin though! if you need toner to do that, you need to wash your face properly! Nor does it close your pores, this toner balances and lightly exfoliates your face, this one is affordable and easy to get hold of, so I thought I'd give this a try before I think about splashing out on P50. I also decided to get REN's balm cleanser. This is a balm which you can use you remove your make up, my ClearCalm does not remove make up, and shouldn't be used to do so, so I wanted something that would be suitable for a first cleanse to remove make up and sunscreen, and I decided to go for this one as I've had a sample before and it doesn't hurt my eyes, and I can never be bothered to use a separate eye make up remove before I take off my face make up. My last purchase wasn't from REN, but instead Nuxe. A brand I'd seen before but never tried, this was sort of an impulse purchase, recently my lips had been so dry they'd been cracking, although I drink my weight in water each day (Okay, maybe not my weight, but I do drink more than 2lt) so I don't think I'm dehydrated. I bought this because I'd heard it mentioned on blogs and thought I'd give it a spin, I liked the texture and my Mum thought it was lovely, so I bought two of them. One for her, and one for me. My Mum is a woman who has, for the past 20 years slathered some vaseline on her lips before bed, and after using this for a few days has told me that she's noticed a big different. I think I'm good for skincare for a while now! just need a new moisturiser and a hydrating toner and I think I'm all good! What about you? do you love skincare too?